Learn how to disallow websites from tracking your location. If you are concerned about your privacy or if you don’t want any website to track your location then you are reading the appropriate post because today we are going to share a helpful method that will disallow websites from tracking your location. We are going to share some best methods, go through the post to know about it. About two out of three people in the world are using the Internet in daily life, and illegal activities can also happen which may include hacking and terrorism, etc. Even many sites can track your locations too. Therefore, to ensure your privacy, you need to hide your location that’s why we are here with the method for How To Disallow Websites From Tracking Your Location. With this, you will be able to disallow any site from tracking your location. For this, just follow the below post. 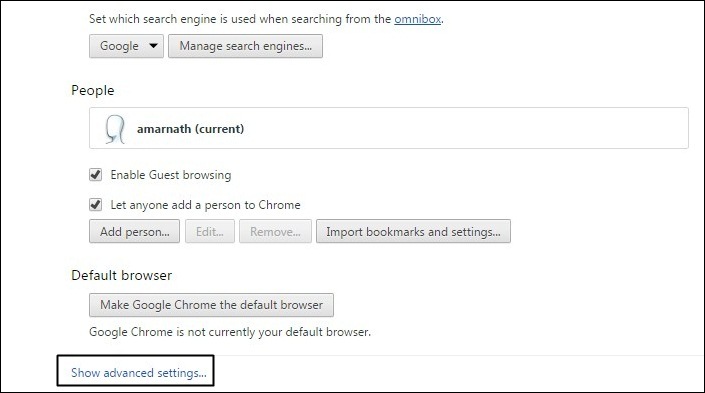 The process is the inbuilt feature in Google Chrome that will stop your location access from different sites. With this, you can secure yourself from being tracked by some unauthorized organizations and many attackers that may be spying on you. Just follow some simple steps below to proceed. Step 1. First of all, you need to have the latest version of Google Chrome Browser which you can get from here. 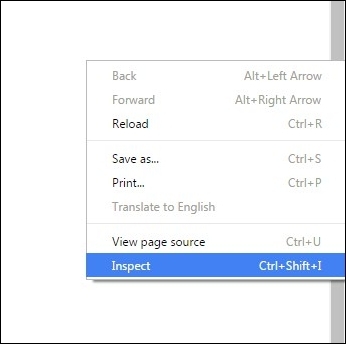 Step 2 Now launch the Google Chrome and open settings from the three lines button at the top right corner. Step 3. Now scroll down and click on show advanced settings there. Step 4. Now below privacy click on content settings. Step 5. Now scroll down, and you will see location field there check the button do not allow any site to track your physical location and click on done at the right bottom of the screen. That’s it! 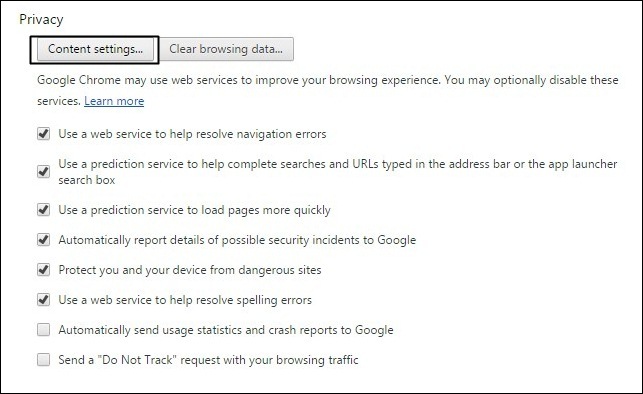 Now your Google Chrome browser will not allow any sites to track your location while surfing the internet. Step 1. 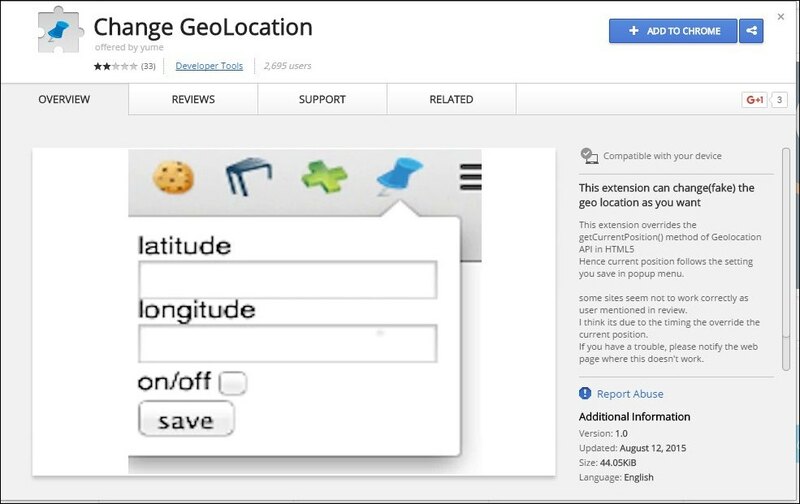 First of all, download and install Change GeoLocation extension in your Google Chrome Browser from here. Step 2. Now after installing, a pin icon will appear at the right top corner of your Chrome Browser, click on it. 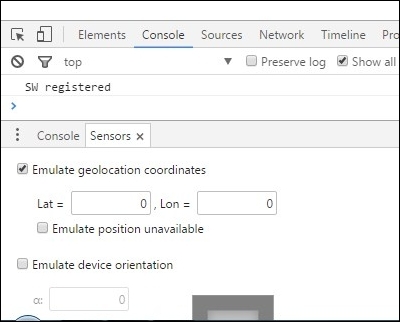 Now there you will see the values of location that you want to set. Step 4. 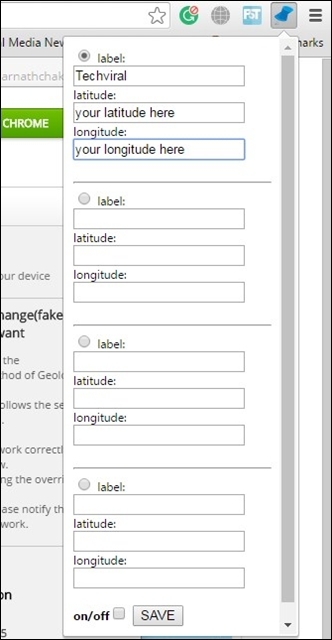 Now you will see the option of “Emulate Geolocation coordinates” enable it and enter your desired latitude and longitude. That’s it! You are done, now Chrome will use the given location as your real location. 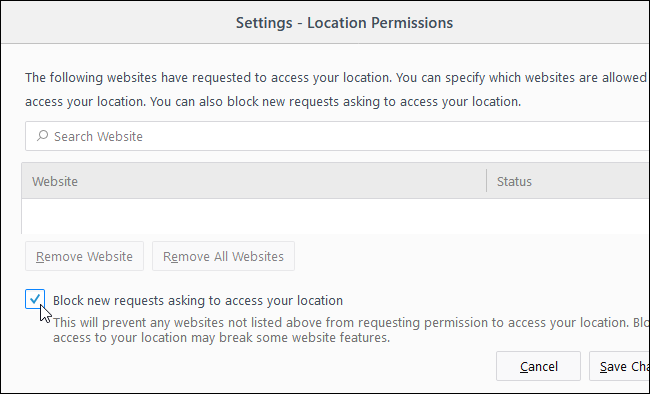 Just like Google Chrome, you can also disable websites from tracking your location in Mozilla Firefox. 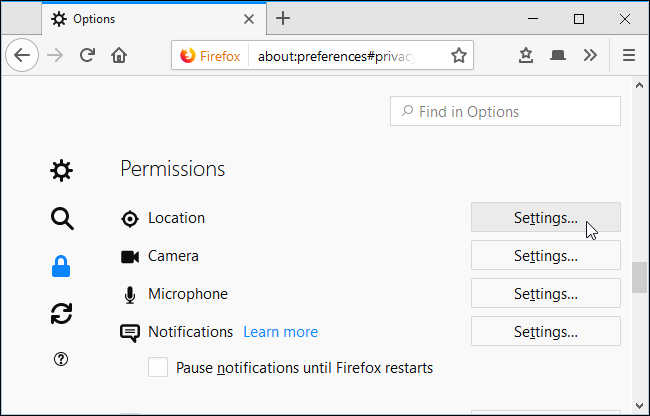 However, you can only disable the location sharing if you are using Firefox 59 or above. Not just location, but you can also restrict websites from pushing you notifications through this method. To disable location requests follow some of the simple steps given below. First of all, open Mozilla Firefox on your computer. Click on Menu > Options > Privacy & Security. Now under the Privacy & Security, find ‘Permissions’. There you need to click on ‘Settings’ right below the location option. 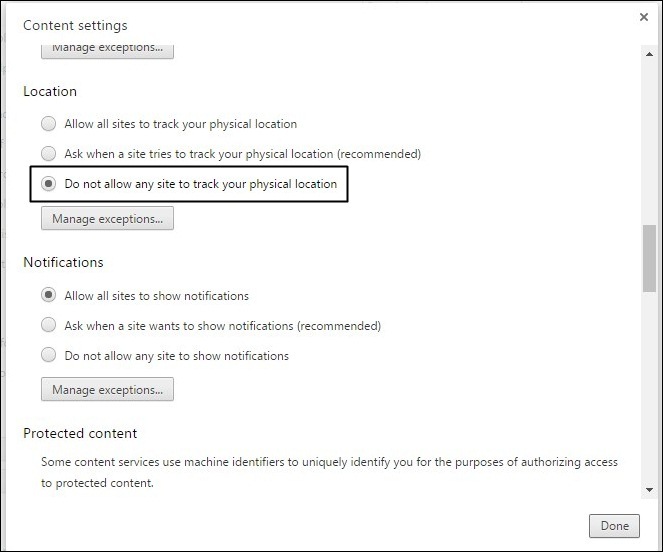 Well, you can’t manually restrict websites from tracking your location in Microsoft Edge. 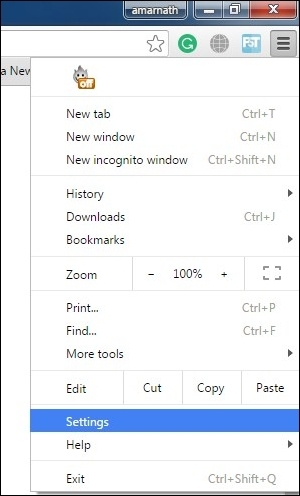 However, you can turn off the location sharing for Microsoft Edge. 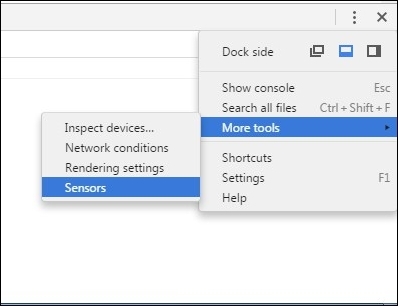 To do that, you need to open the Settings app on Windows 10. 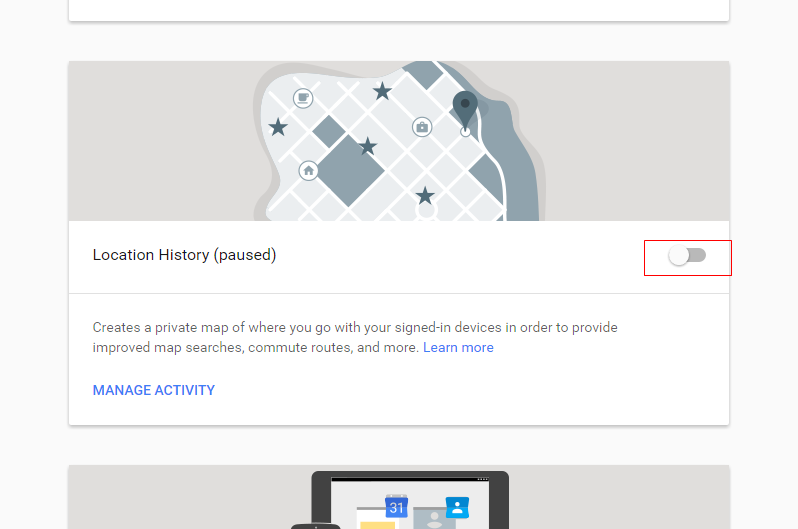 On the Settings Page, head to the Privacy > Location. Now you need to scroll down and find the option ‘Choose apps that can use your precise location’. 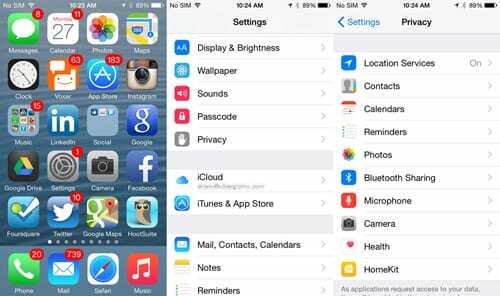 Now it will list all apps that have access to your location settings. You need to find and turn off the ‘Microsoft Edge’ from the list. Well, we all know that Google tracks our location history. However, you can stop Google from doing so. 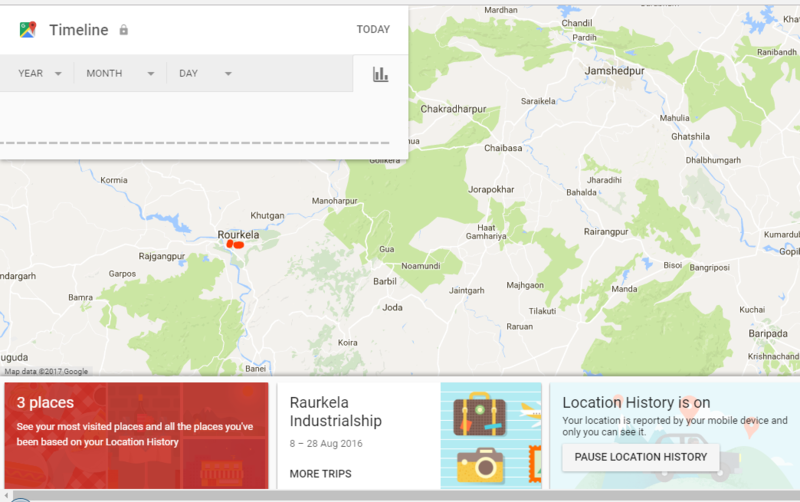 Google usually gathers the location data from your usage of Google Maps. Step 2. 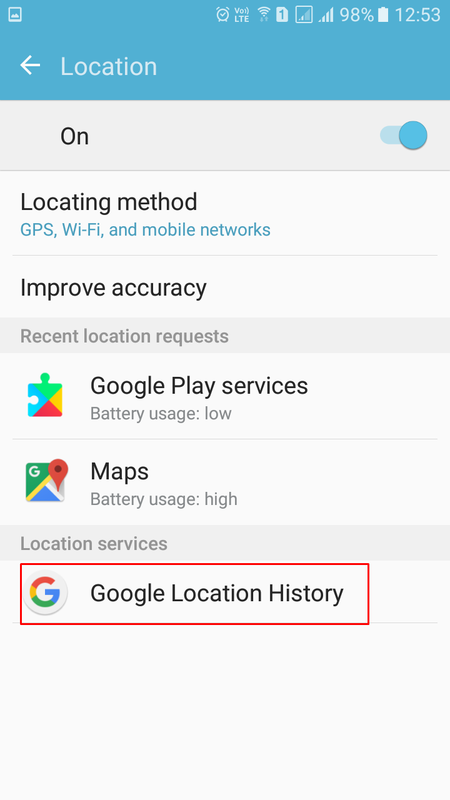 Now you need to find the option “Location History” and disable it. Step 3. 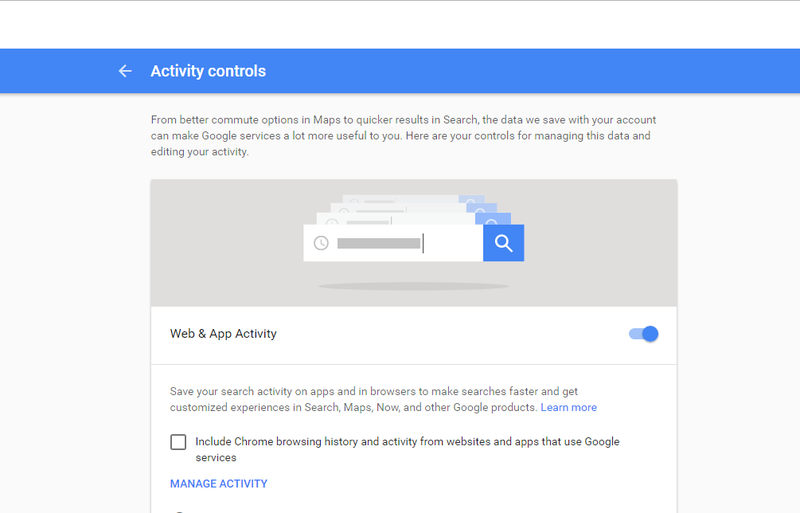 You can even click on Manage Activity to check which location history Google saved. Step 3. Now you need to pause the location history. 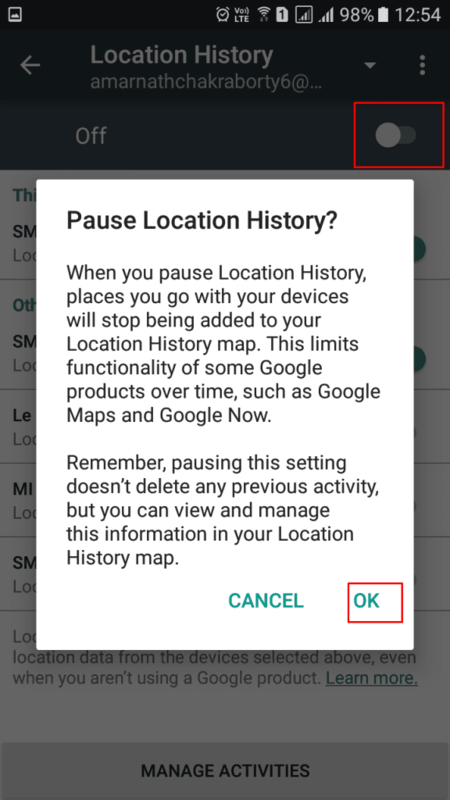 You can even select the option “Delete Location History” to delete all saved history. That’s it! Google will no longer store your location history. iOS also comes with several location services that run on the background. Disabling location services in iOS is pretty straightforward and you just need to follow some simple steps listed below. Step 2. 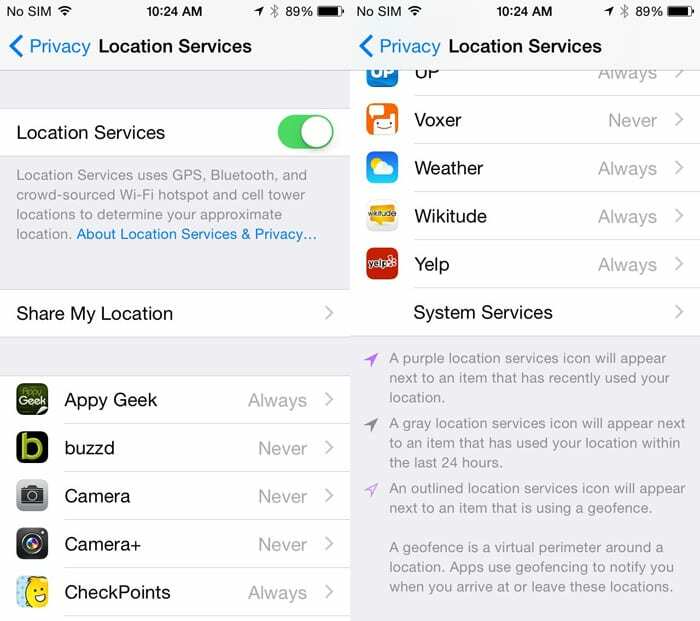 Under the Location Services, you will find lots of apps that use the location sharing feature to provide services. Simply, disable the ‘Location Services’ from the top. Step 3. Now if you scroll down the little bit more, you will find ‘System Services’ which will show you some more services. Here you will find some services like Frequent Locations, Find my Phone, Near Me, etc. 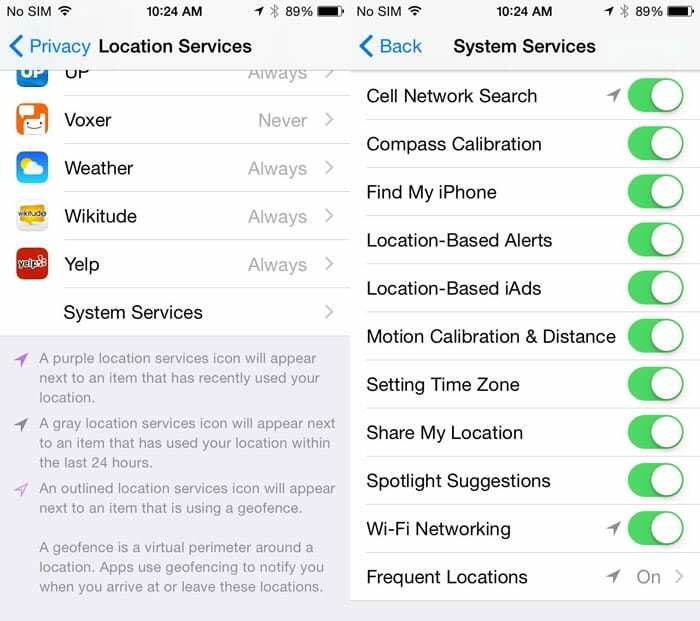 These are location-based services, and you can disable them if you don’t need. So, this will disable location sharing feature all-together. It doesn’t matter whatever apps you use, and it can’t track your location anymore. So above is all about How To Disallow Websites From Tracking Your Location. 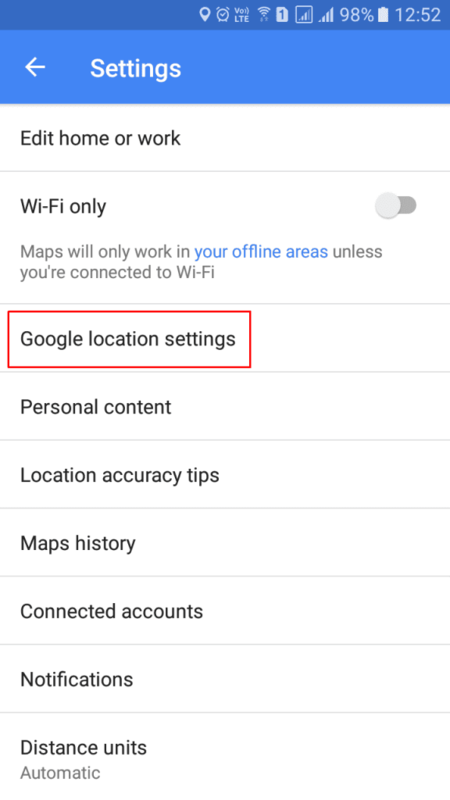 By these methods, you can easily hide or fake your location in your Google Chrome and ensure your privacy by disallowing the location access to every spy agencies and the attackers being spying on you. Hope you like the post, share it with others also to make them aware of this. Leave a comment below if you have any related questions.